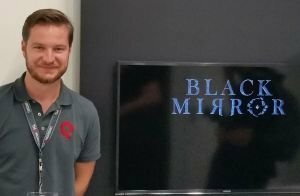 At gamescom 2017, I had the welcome opportunity to meet Martin Kreuch – a producer at publisher THQ Nordic – to bug him with loads of questions about the reboot of the Black Mirror series. 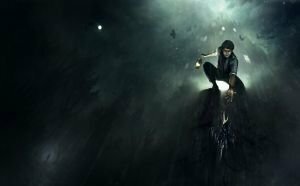 The newest game in the franchise is currently being developed by German studio KING Art, who are not only the acclaimed developers of adventures like The Book of Unwritten Tales and The Raven, but were also significantly involved in the development of Black Mirror 2. If you are wondering what to expect from a new Black Mirror game, read on as our interview with Martin should answer most of your burning questions. Ingmar Böke: So the secret isn’t a secret anymore: you and KING Art are currently producing a new Black Mirror game. Please describe your approach to the project, and tell us in what way it’s connected to previous games in the franchise. Martin Kreuch: We’re rebooting the franchise, which means that the new Black Mirror isn’t connected to the plot or characters of the original games. The previous titles were pretty self-concluded story-wise. Also, a lot of mythological details were already revealed within that universe. So it’s neither a sequel nor prequel. Of course, we have had lots of discussions when it comes to the question of how we could create something that would appeal to old and new players alike: Are there supernatural elements? Do ghosts exist within this universe or not? Could it be that the characters might just be insane? How do you integrate aspects like that while making the game interesting for the old players without confusing the new players? Even though we are aware that some people strongly dislike reboots, we ultimately ended up deciding to reboot the series and create a completely new universe. The new game takes place in Scotland, as opposed to the previous titles which took place in England, and even though the family is still called Gordon, they’re not related to the Gordons of Black Mirror 1-3. Ingmar: You’re also covering new territory when it comes to the gameplay. Martin: Of course, this is also a tricky subject. The aspect of nostalgia is certainly important. Players remember games that they played and enjoyed in the past in very special ways. At the same time, there are aspects about point-and-click adventures that aren’t that popular among many players. This is also related in part to playing with a controller. Modern adventures like Life Is Strange, Until Dawn and Sherlock Holmes: Crimes & Punishments have left quite an impression on our approach. Concept art for Black Mirror reboot. Creepy. Black Mirror has always been known for distilling elements from atmospheric horror classics in the vein of Edgar Allan Poe or H.P. Lovecraft, and this is exactly what we wanted to do in the new game. Players who are into jump-scares and gore will probably have to look for different games. 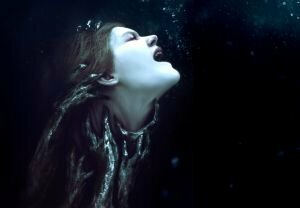 What we have is a rather psychological type of horror that puts an emphasis on eerie atmosphere. All of the characters are pretty twisted. Seemingly, being near to the castle doesn’t have a positive effect on people. If someone, for instance, was already an irascible person before, it’s likely that person is ultimately going to turn mad at this place. While we were inspired by scary movie classics like The Haunting and Woman in Black, the original Black Mirror games definitely had the biggest impact on the mood in our game; particularly the second and third parts, which still look very good today due to their high level of detail. At gamescom, we’re primarily showing the castle. The game does not entirely take place in the castle, though, but also in its surroundings. 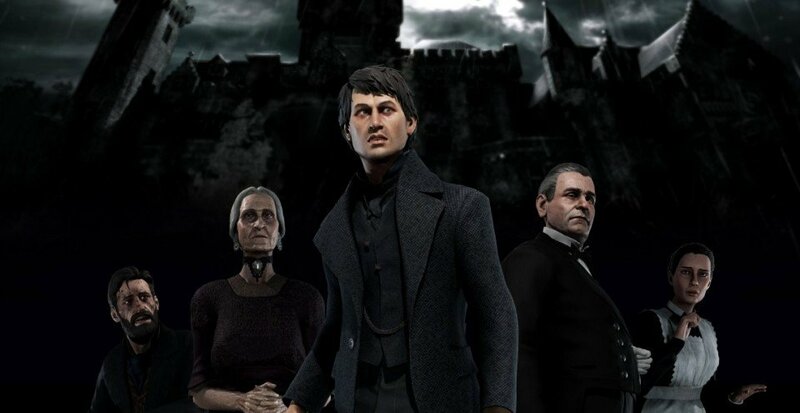 In contrast to something like the Sherlock Holmes games, we really want players to feel like, “you leave the castle, and you are outside in the garden now. You walk through the garden, and now you’re in the woods.” Instead of having a kind of chopped-up world, we’re pretty much having a correlating world, which also gives you some freedom to explore it. We do not want fans of the old games to feel as if the gaming experience has been entirely stripped-down. The game has some chapters that contain several puzzle chains, which allow you to go back-and-forth between them, and work on these puzzle chains simultaneously. For some players, this might feel very complex as we are aware that some of them like to be guided through a game all the way through. However, we also want to stay true to the franchise when it comes to the aspect of players wanting to reflect on puzzles and their solutions. In our case, it depends on what’s currently going on in the story. If there is a chase sequence, you don’t want to stand still to combine object A with object B. So in fast-paced situations you’ll rather have something along the lines of Quick Time Events and button-mashing. You know, some games have puzzles where you know the solution to a puzzle nearly right away. The actual appeal is the thing that the solved puzzle is going to trigger. I’d like to call this a typical Uncharted puzzle. An adventure puzzle, on the other hand, is rather something that’s going to make you think about what you need to do or that makes you talk to other characters before you can solve the puzzle. Of course, we’ll have stuff like that in the game! Ingmar: The development team is no stranger to the atmosphere of the Black Mirror universe, having been heavily involved in the design of Black Mirror 2, though many people aren’t aware of that. What exactly did KING Art do on Black Mirror 2? Martin: The KING Art team penned the original concept for Black Mirror 2. Achim Heidelauf was the executive producer of Black Mirror 2 and now is again a producer on the new Black Mirror, though as a freelancer, not a permanent member of KING Art. Ingmar: Let’s find out more about the story. Martin: The story pretty much starts with the suicide of the protagonist’s father. Our main character David Gordon has been raised in India, far away from Black Mirror castle, and didn’t have a good relationship with his father. When David arrives at the castle as his father’s heir, he has only heard that his father supposedly had gone insane and killed himself. David doesn’t know anything about the family history and now faces a family he has never met before, and who aren’t happy about his appearance. While the family is rather interested in heritage-related aspects, David ends up deciding that he wants to find out more about his father’s past and unravel the reasons for his suicide. it’s extremally lazy and uninspired. period. You have to be careful…look at syberia 3….they had to bring back the mouse only play in update. I agree with the name being lazy. They could be same family but different branches but that would limit them story wise. A new start with new name would have been better. Overall, looking forward to it. Sounds to me like the only thing this new game has in common with the BM series is the game’s name Black Mirror and the family name Gordon, even though the family is a totally different one. If calling that a “reboot” is all it takes I’m looking forward to a reboot of Monkey Island with a new Guybrush as trader in exotic animals and other illegal stuff. Or Indiana Jones as a hardworking farmer with 12 kids. The possibilites are endless. I agree with the above sentiments. It looks like they hope using the well-known Black Mirror name will lead to more sales. It’s so funny when a p’n'c gamer calls any modern adventure an “interactive movie”. So stop the hating and just enjoy new possibilities. Devs needs to eat too. To adapt is to survive.